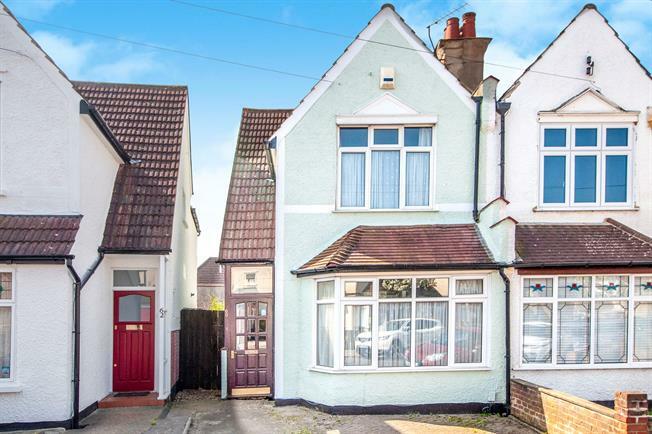 3 Bedroom Semi Detached House For Sale in Croydon for Offers Over £430,000. Well presented three bedroom semi detached family home with accommodation briefly comprising open plan living/dining room, modern fitted kitchen replaced by the current owners in 2018, to the first floor are three bedrooms and family bathroom. The property benefits from driveway parking, secluded rear garden with side access, double glazing throughout and gas central heating.